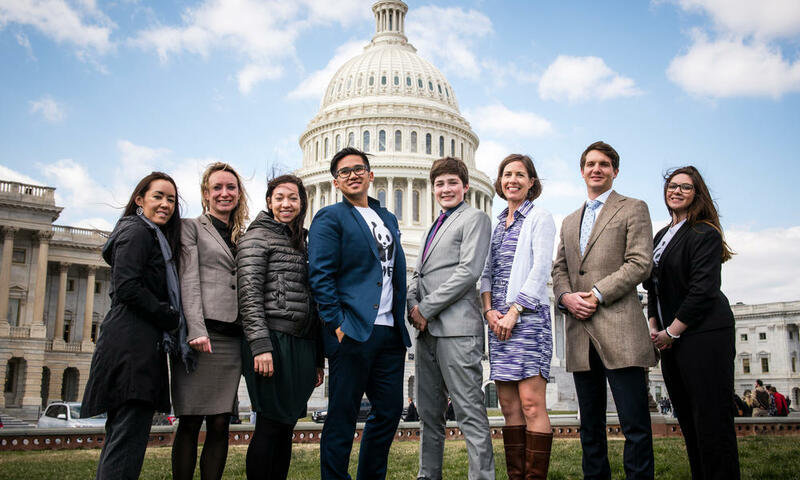 Activists from around the country assembled on Capitol Hill for WWF’s Lobby Day 2018 to persuade lawmakers to maintain the amount of funding the United States government provides for international conservation programs. 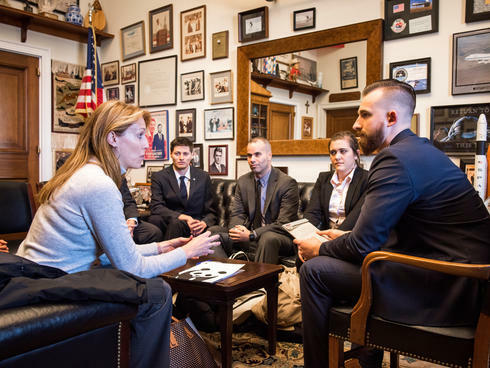 Altogether they made their voices heard through more than 100 meetings with representatives, senators, and congressional staff. A history of supportThe US government has long been a leader in international conservation and encouraged other countries to cooperate on efforts to conserve wildlife, habitats, and natural resources, particularly in the developing world. The foreign assistance budget is less than 1% of the federal budget, and conservation funding is even smaller—less than 1% of that. The programs funded through the international conservation federal budget help countries manage their natural resources sustainably, crack down on illegal wildlife trafficking, and combat the illegal trade of timber and fish. This assistance overseas helps prevent future conflicts, strengthen our relationships abroad, and create a brighter economic and natural future for both other nations and ourselves. Activists risingThroughout the day, activists expressed their passion for conservation through a personal lens. An entomologist tied insect populations to the health of forests; a seventh-grader described a class field trip to the Chesapeake Bay that helped spark his interest in the natural world; a woman from Hawaii explained how what happens in the ocean in one place impacts life thousands of miles away. News Source: World Wild Life.